Explore local distilleries in Temecula Valley. 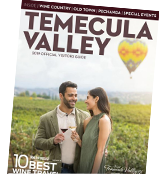 Temecula Valley has been known for great wine and breweries, along with an emerging market for distilleries. Enjoy moonshine, craft cocktails, vodka and some tasty spirits at a local distillery in Temecula.